Femmes Africa Solidarité (FAS) is committed to the pursuit of justice against perpetrators of war crimes and violators of women's human rights. In keeping with this commitment, FAS develops and advocates for measures to ensure that national and international legislation in Africa protects women's rights. It also recognizes the link between justice for victims and lasting peace in communities. As part of this work, FAS participated in the drafting and implementation of the Protocol to the African Charter on Human and Peoples' Rights on the Rights of Women in Africa, which includes a clause to address the culture of impunity and aims to establish mechanisms for justice. The Gender is my Agenda campaign focuses on the implementation of the Solemn Declaration on Gender Equality in Africa. The campaign consists of several African civil society organizations tasked with monitoring the implementation of the different thematic clusters of the Solemn Declaration. The themes covered by the campaign include: human rights, peace and security, governance, education, health, and economic empowerment. The findings of members of the campaign were included in the Civil Society Shadow Report on the Solemn Declaration on Gender Equality in Africa, which was presented at the 9th Pre-Summit Consultative Meeting on Gender Mainstreaming in the African Union, held in Addis Ababa, Ethiopia, in January 2007. 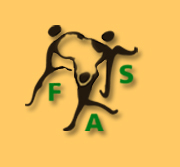 FAS participated in the sessions of the UN Commission on Human Rights, as well as its Sub-Commission on the Promotion of Human Rights, before the Commission was replaced by the Human Rights Council in March 2006. For example, in 2005, and in partnership with the Women's International League for Peace and Freedom (WILPF), FAS organized a panel discussion to share experiences and report on human rights violations. To this end, FAS has made several statements to the Human Rights Council on behalf of the women of Darfur and of the Mano River region. In March 2007, it organized a panel discussion on Women and War in Africa: Experiences, Responses and Implementation of UN Security Council Resolution 1325". The panel included leading experts in the field of women's human rights, such as Professor Yakin Ertürk, UN Special Rapporteur on Violence against Women, and Dr Marianne Mollman, Advocacy Director of the Women's Rights Division of Human Rights Watch. Women from the field also participated.